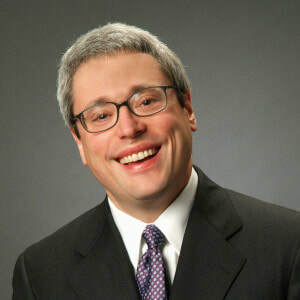 Who Is Rabbi David Stern... Really? We are honored to have Rabbi David Stern as our keynote speaker at the Education Conference this year. I had the pleasure of speaking with Rabbi Stern over the phone, and while I can’t provide specific information about his keynote, I am excited to share some tidbits from this recent phone conversation as well as from my experience as the Education Fellow for his congregation, Temple Emanu-El of Dallas, Texas. I first ‘met’ Rabbi Stern, believe it or not, over FaceTime at Thanksgiving dinner in 2017. He was dining with family friends in Dallas, and I was in Jackson with mutual family friends. What I didn’t realize was that only a week earlier, he had been inducted onto the Board of Governors of Hebrew Union College-Jewish Institute of Religion (HUC-JIR). After talking briefly with Rabbi Stern, it is easy to see why he is such a distinguished individual. He is not only a dynamic orator, an inspiring scholar, and a courageous leader; Rabbi Stern has the ability to connect with his congregants on a deeply emotional and personal level. Rabbi Stern cites the opportunity to officiate lifecycle events for multiple generations of families as one of the highlights of being in one congregation for so long. During our phone call, I asked Rabbi Stern a question I personally struggle with – What do you see as the future of American Judaism? In order to understand and appreciate others who have different opinions than our own, Rabbi Stern emphasizes the importance of curiosity, saying, “curiosity is the cognitive cousin of empathy.” He believes in the power of inspiring and provoking curiosity and a genuine interest, so that we can ask questions and truly be interested in the other person’s response and ideas.